#ShortcutSafaari- a unique blogging experience! Indeed! According to me, nature is the most beautiful piece of art that any eye can ever discover and feel. But seldom do we own time to experience it in the hustle bustle of our busy lives, isn’t it? 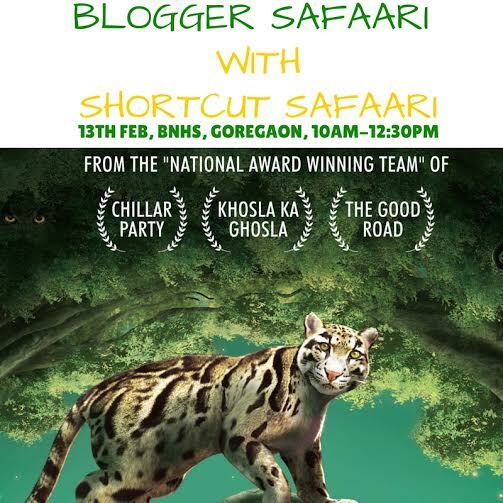 Last weekend, on the 13th of February, I was invited to a unique, one-of-a-kind blogging experience, ‘Walk in the Woods‘ at the Bombay Natural History Society (BNHS), Film city. It is a 129 years old organization working in the field of wildlife conversation. It serves as a reminder of the endangered wildlife, Global warming, Climate change and more. 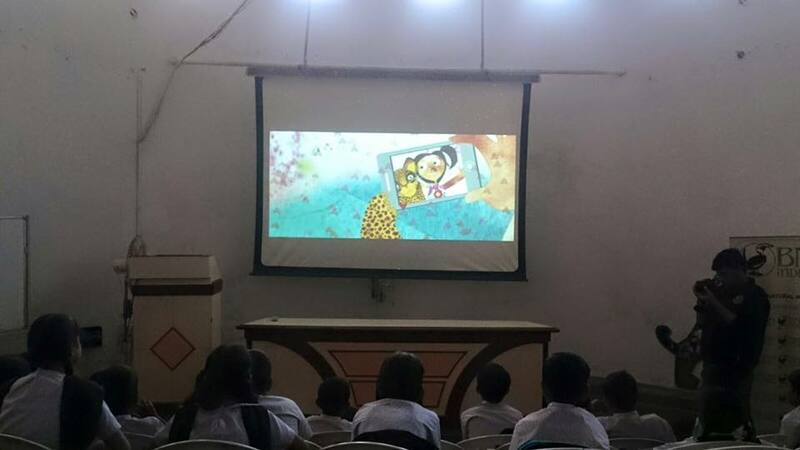 The blogging initiative was conducted by the Team of an upcoming Hindi movie for children, Shortcut Safaari, which is directed by Mr. Amitabha Singh and apart from being a fun-filled movie, it highlights certain touch points that affect us on a day to day level. In the broader stream of events and themes, the film also focuses on nature sensitizing. So, on the sun-kissed morning of 13th, we embarked on a creative and adventurous journey in the woods with fellow bloggers, a few #ShortcutSafaari Team members and the Director, a few BNHS Team members and 30 school students from Nehru Nagar Public School, Kanjurmarg. We were divided into 2 teams and before we left for the walk, we were instructed about nature rules and the precautions we need to follow while we encounter the beauties of nature. The inquisitiveness of the school kids interested me the most. It was nice to see the interaction of the kids with the BNHS Forest Specialist as she explained us the various characteristics of the wild life in the forest. 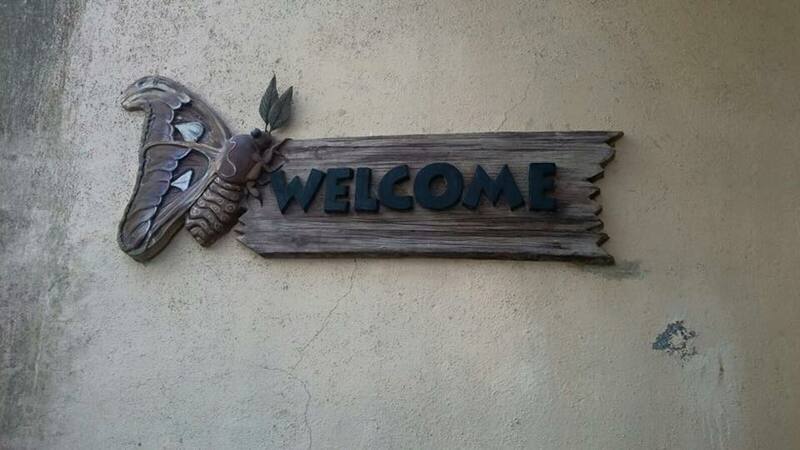 We learned a lot more about the peculiarities of the animals, birds, insects and trees. Apart from that, we encountered a many different species of insects, trees, birds and animals in the forest. The atmosphere was soothing and we could feel the beauty of the flora and fauna as we progressed. The best part being that this appealing stretch of forest is one big treasure in the busy hub of Mumbai. After the Shortcut Safaari, we returned back to the BNHS Center and then shared our experiences about the blissful encounters we had in the nature. Later, #ShortcutSafaari Director unveiled the creative music composition of the movie. It is a different music track and expresses a special bond between the girl and the leopard as they show how animals and human can be friends. According to me, the movie is well-executed and designed. I am eagerly awaiting for the movie to release and I believe that it will be an amazing hit among the children and others. Did you enjoy reading my experience? What are your ideas for nature conservation? Did you like the music track of the movie? What are your thoughts? Share your ideas, views and opinions in the comment section! My plan crashed at the last moment due to an emergency at home. Missed u all. Hope to c u soon! Nature is and always wl b close to my heart and also try to preach the same in whatever small way I can. Pity for those who don’t appreciate nature. Nature is always blissful, those experiences and learnings with the kids seem to be a lifetime opportunity. Previous Previous post: Top 3 DIY Creative Valentine Gifts for him ideas! Next Next post: Helios Shoe Care Product Review!